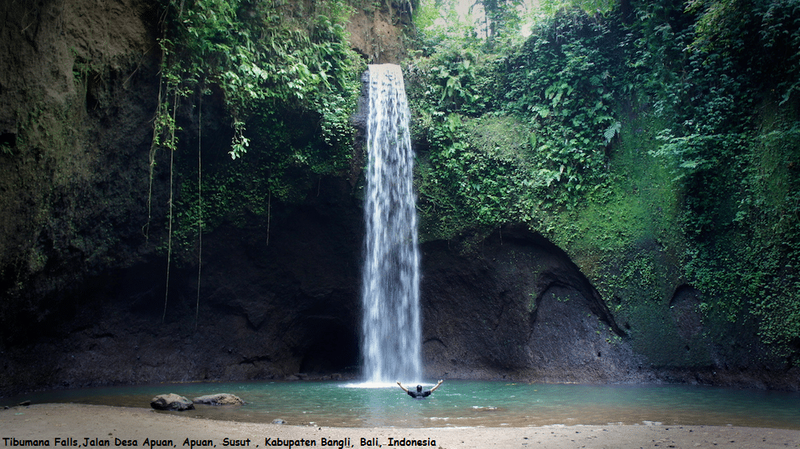 Tibumana waterfall is one of the must visit waterfalls for the explorers.waterfall has a height of 20 meters. Depth of the pool under the fall is approx. 6m Located in Bangli region, just an hour drive from Ubud and two hours from Kuta, this waterfall is a serene spot for all those who want to enjoy the forest atmosphere. To get there, it is recommended to bring someone who knows the area pretty well. A tour operator in downtown Kuta charges around IDR 400,000 for this single trip, including a car and an advanced driver. Optionally, you can always hire a scooter and navigate your own way with a map, as this can be far more exciting. Bangli is host to mountain lakes and streams that make Bali so fertile. Numerous villages are scatted across a landscape of rice terraces, lush valleys and forests. These settings will treat you well along the way until you reach your destination. Beautiful, secluded & relaxing. Still not too touristic, very natural. Calm, friendly staffs and smiling villagers. Pay IDR 10,000/person for ticket entrance. Prepare comfortable shoes/sandal to walk at stairs. the nature and the beauty are lovable.